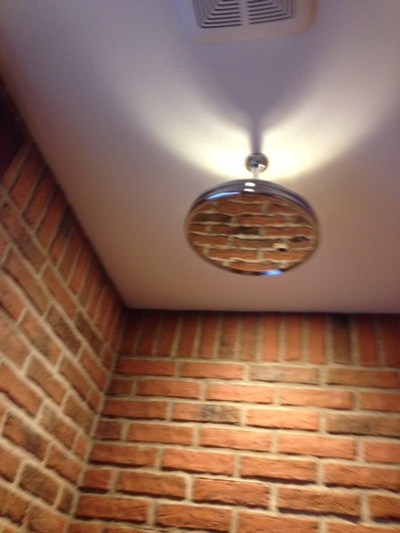 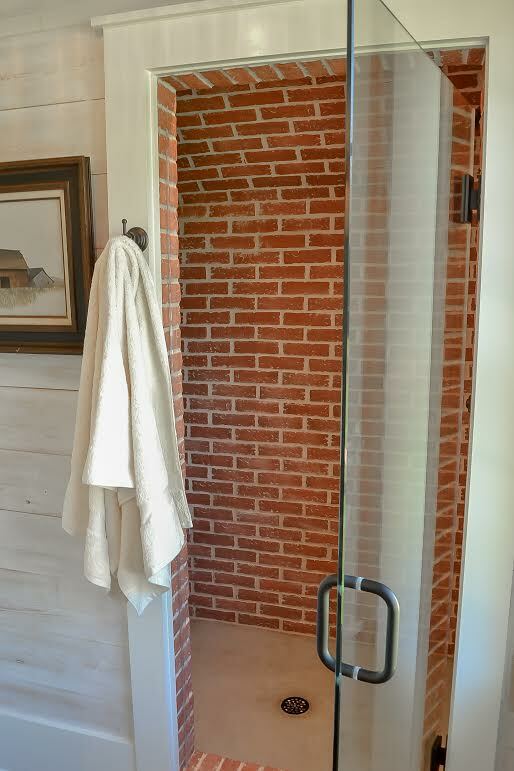 There are many bathroom and powder rooms that use our our brick tiles -- not only on the floors, but they have been used on walls also...and even in showers! They need to be sealed, of course, but then your brick bathroom floor will resist water like any other sealed or glazed tile. 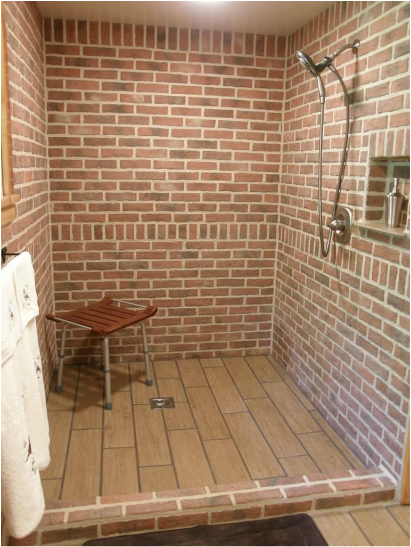 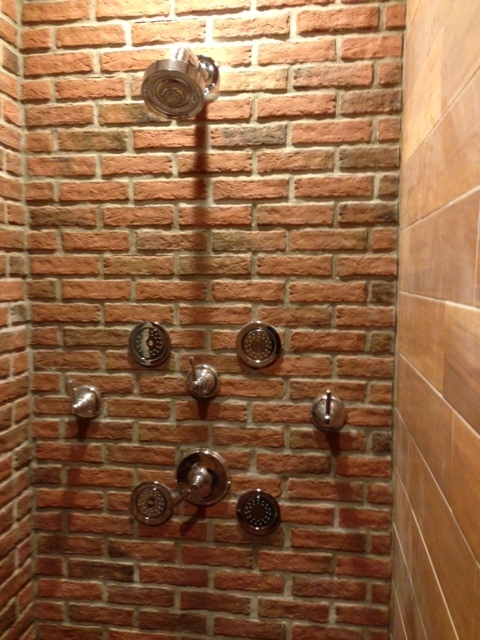 This is an amazing exposed brick wall shower stall, that has all the look and feel of an outdoor shower! 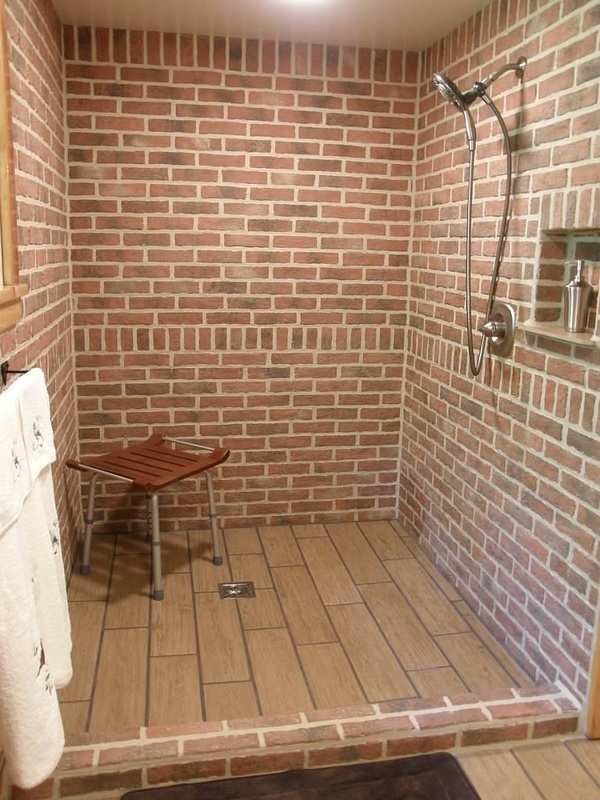 Because of the depth of the stall, there is no need for a door or curtain. 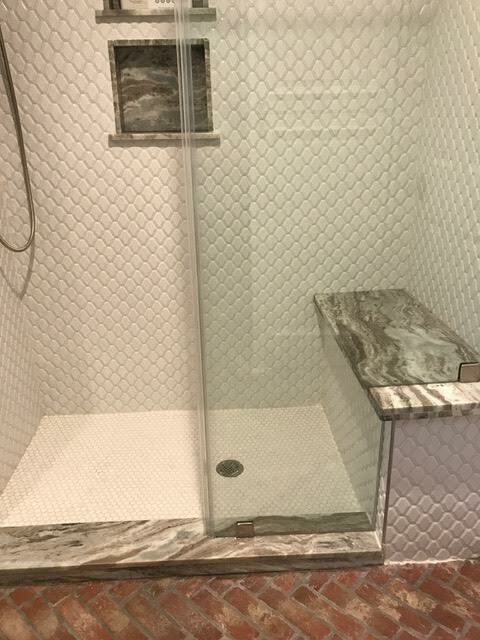 After seeing this, I decided to do it in my own walk-in shower! 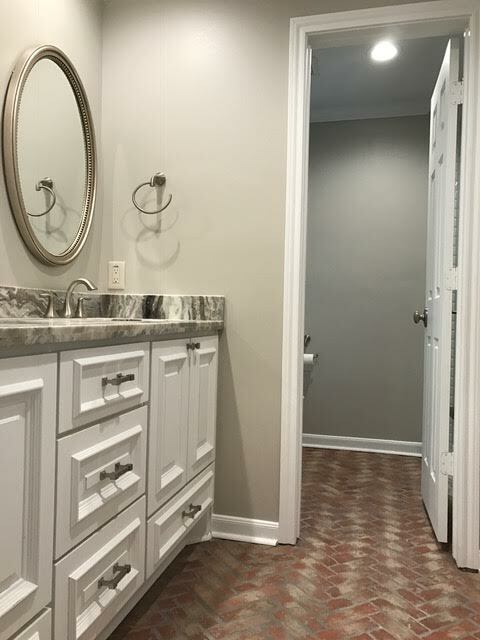 Thanks to Beth Christopherson for the above two pictures of her Lancaster Running Bond bathroom floor.